Click the button below to add the MN-HYDROMETER Flooded Battery Hydrometer, Specific Gravity to your wish list. 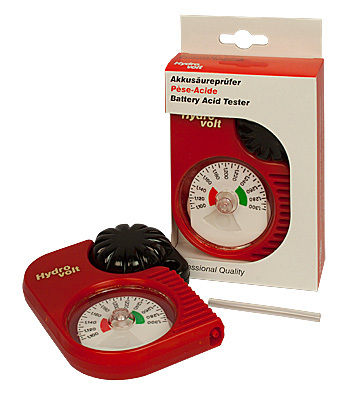 The HYDROVOLT battery tester is a heavy-duty, chemical-resistant hydrometer which is direct-reading and accurate at all electrolyte temperatures. Its advanced design incorporates important practical features which simplify battery servicing as never before. Dimensions: 5.25" x 4.25" x 1.5"